Deciding on a beneficiary can be a complicated process for the remarried. It’s rarely a simple decision, especially when children from a previous marriage are involved. In that case, it can be difficult to strike a balance between taking care of the current spouse and the previous spouse’s children. If you already have a life insurance policy listing the first spouse as the beneficiary, it’s important to be sure that the beneficiary can be changed. Sometimes, divorcees can’t change the beneficiary designation; the best move is to take the divorce decree to your attorney to ensure that you don’t violate the decree by changing a policy from your previous marriage. If you can’t change your beneficiary, you may want to buy additional life insurance or retirement plans that will include your new spouse. Who should be the beneficiary of the new policy? If you name your new spouse, children from the previous marriage aren’t guaranteed any of the money. Likewise, if you name your children, they’re not obligated to take care of your spouse. The solution may be to create a revocable trust, naming the trust as the beneficiary of the life insurance policy. When you die, your life insurance policy will fund the trust, which can be set up however you like. For example, you could allow your spouse to access the money while he or she is alive and have the remainder go to your children after your spouse dies. In short, choosing a beneficiary for a life insurance policy is not as simple as it seems. Consult with an attorney to determine what the best option in your situation is. 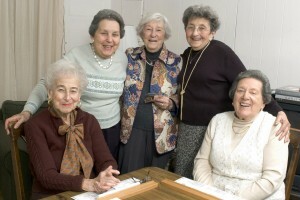 To learn more about New York Estate Planning, visit www.elderlawnewyork.com.